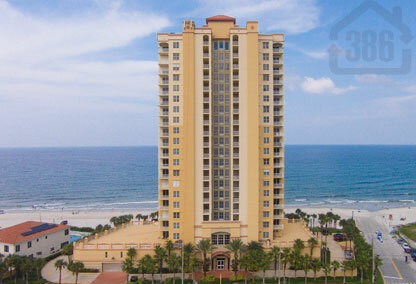 The Mediterranean offers the large open condominium floor plan that you have been looking for in Daytona Beach. Built in 2000, the Mediterranean Condominiums are the leader in a new era of luxury and sophistication along the Atlantic coastline, where elegant design is only outshined by awe-inspiring views of both the ocean and river in a timeless Mediterranean setting. Most units have real wood cabinetry, granite countertops, and many custom additions. There are only three direct oceanfront units per floor where you can choose from 2, 3 or 4 bedroom options. This luxurious oceanfront oasis also features an oceanfront pool, two fitness areas, direct beach access, secure underground parking, and secured private access to each floor. Live your lavish European-style dream in the comfortable confines of beautiful Daytona Beach. Call us today and we’ll go to work for you. Are you looking for a large open condominium floor plan that is great for entertaining family and friends? The Mediterranean condo features large condos that are perfect for large families and entertaining. This luxurious oceanfront condo also features an oceanfront pool, 2 fitness areas, direct beach access, secure underground parking, and secured private access to each floor. All units feature direct oceanfront views and most units have real wood cabinetry and granite countertops. Call Kevin Kling for more Mediterranean condo information.